There is only little a DJ can wish more than a residency at the legendary German club Tribehouse. 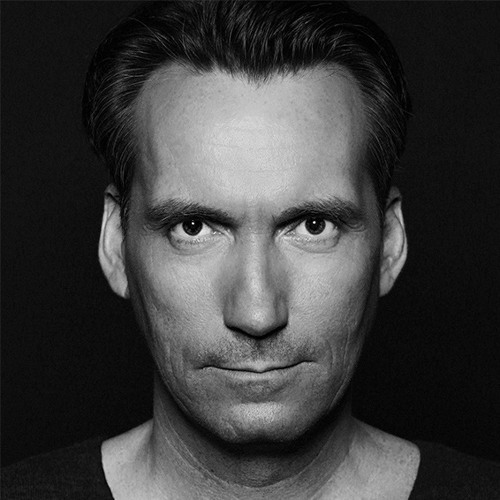 Before Gregor Wagner started there his residency in the year 1999 he was already working as a DJ since years and his influence on the sound of the late 90ies in the Ruhr Region was high. The Ruhr Region was considered to be the mecca of House Music and clubs such as the Bungalow (in Dortmund) and the Flamingo (in Essen) are still today in people's mind and mouth, although many years have passed since that glorious nights. Today Gregor makes use of his skills, which he perfected over the years when he is touring throughout Germany and abroad as a great demanded DJ - skills such as: a keen sense for his audience, which cannot be satisfied by shooting one hit after another, a special mix-technique, which is seen everyday less in the House Music scene and his huge knowledge about Dance Music, which one only can gain by starting in the early years of House Music and playing with the Big-Ones of the business. For Gregors ambitious audience this can be seen as an exchange, today he gives them back what he once learned from them. Many clubbers developed a passion for Gregors sets and many of the other successful DJs of the Ruhr Region catched once fire when hearing Gregor the first time. But times are changing and new goals had to be set. In the year 2002 Gregor decided to resume his career as a producer which he started already in 1994 with Chill N'Force and the club hit "Move Raver". At first he released on Andry Nalin's label Superfly a solo single "Give Me Your Love", which was only the first step to initiate a bigger project. Together with worldclass DJ and producer Andry Nalin he founded then the duo Bush II Bush. Their debut single "Hard Like A Rocker" with its crossover style of Techhouse, Breakbeat and Dancehall was representative for the blueprint of their following 12Inches and remixes. (for instance for artists like Red Carpet, Gadjo, King Unique, Prawler, Ferry Corsten) The follow up "SoulShock" hit the No.1 of the DCC (German Club Charts) and the Balance Dance Charts (USA). But the current masterpiece of Bush II Bush tops everything else. "Piano Track", the current single was released on the legendary New Yorkean label SAW. The reactions from both sides, audience and DJs, were euphoric: Pete Tong elected the track twice as "The Essential Tune", the track hit top positions in all relevant charts such as the DDC (German Dance Charts), DCC (German Club Charts) and the BDC (Balance Dance Charts, USA). And the mediterranean summer 2005 in Ibiza would have been unimaginable without the track. Beside his regular DJ-sets in clubs like the 3001, MK-2 (Düsseldorf), Exhibition, 18 Karat (Bochum), Muschi Club (Köln), Mudia Art (Essen), Paradiso (Rimini), different events such as the Blue Parade (Düsseldorf), Ruhr in Love (Oberhausen) and Sunflash (Essen) and his residency at the Tribehouse, Gregor is working ambitiously on new singles and remixes.